Since the Trans Mountain Pipeline extension project was approved by the Trudeau government in 2016, the west coast’s Indigenous communities have fought to cease potential damages on their land. The project, which would extend the pipeline from Edmonton to the Vancouver area, runs through several First Nations communities in B.C. and Alberta—and protests have been abundant. 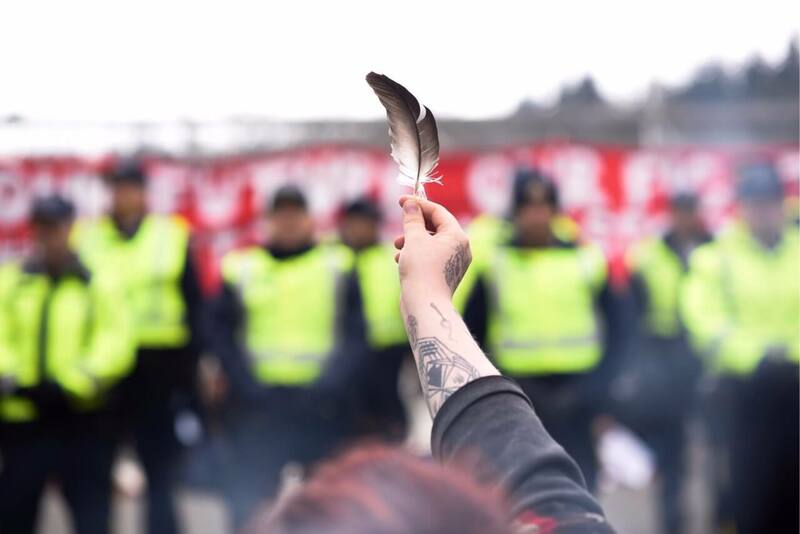 In March, a group of students and youth blockaded the front gates of the construction site of U.S.-based Kinder Morgan on Burnaby Mountain, spending days showing their solidarity against the project’s movement onto sacred land. Even still, the feds seem unmoved: In May, the Liberals purchased the pipeline for $4.5 billion from Kinder Morgan to ensure it will be built.